From Baroque to Modern the Fairfax Saxophone Quartet is “Classi‑Jazz.” The FSQ demonstrates the amazing versatility of the saxophone by performing a wide variety of musical styles, including traditional French saxophone music, timeless arrangements of classical favorites, Broadway hits, Ragtime, contemporary arrangements of popular music, Latin and Jazz. The FSQ plays year‑round as “Ambassadors of Good Will” for the highly acclaimed City of Fairfax Band. Now in our thirty-fourth year, the FSQ has performed for audiences throughout the Washington, D.C. area, and even beyond. Engagements have included: a 2001 Inauguration Day appearance at the Kennedy Center’s Millennium Stage; the Kennedy Center Annual Fall Open House gala; 32nd , 36th , and 38th International Saxophone Symposium; Barnes and Nobel Book stores; City of Alexandria “Lunch Bunch” and “Holiday” concerts; City of Fairfax Veterans Memorial Amphitheater Summer Concert series, the Fairfax Fall Festival and “Spotlight on the Arts” at the Old Town Hall and Sherwood Center in Fairfax City; Fairfax County Park Authority “Summer in the Park” series; the Freshman Center of George Mason University; the Herndon Train Station Town Hall Square; the Old Post Office Pavilion and Dupont Circle Festival of Music and Garden in Washington, D.C.; Udvar-Hazy Smithsonian Museum; the Torpedo Factory in Old Town Alexandria; the Virginia Municipal League Conference at Tysons II; the Filene Center at Wolf Trap; Our Daily Bread “Empty Bowls” Charity; Bonita Lestina Performance Series; area retirement and care centers; and as featured soloists with the City of Fairfax Band. The FSQ has premiered sixteen new works or arrangements for the saxophone quartet, including: Amazing Grace, Pachelbel’s Dilemma, Sonatina for Saxophone Quartet, ‘Till You Come Back Home, Twelve-Tone Prelude and Fugue, and Turkey In The Woodshed by Michael Frank Francis; Pachelbel’s Canon in D, Rachmaninoff’s Prelude Op.3 No. 2, and A.J. Weidt’s Dat Yam Rag, arranged by Michael Frank Francis; Elegy for Saxophone Quartet by Nick M. Mavrakis and arranged by Michael Frank Francis; Suite for Saxophone Quartet by David Berkenbilt; Double Fugue In C Major by Lee Larsen; and A Day at the Park by David M. Rubenstein; In addition, nearly one hundred pieces of various composers have been arranged for the FSQ by our own James Francis. They include: Louis Ottschalk’s Morte!, Danza, Souvenir De Porto Rico, and Suis Moi! Caprice; Gershwin’s Lullaby; Danza Espanola No. 6 by Enrique Granados; The Bells of St. Genevieve by Marin Marais; Quintet in Eb Major, K.452 for Piano and Saxophone Quartet by Mozart; Quintet in Eb Major , Op. 16 for Piano and Saxophone Quartet by Beethoven, and Quintet in Bb Major for Piano and Saxophone Quartet by Rimsky-Korsakov; the Mozart String Quartet in G Major, K,387 (dedicated to Haydn); the Visions of America String Quartets by Martin Yates – L.A. Beach Music, New York Night Music, ‘Frisco Bay Music, and Nashville – Tennessee; and Images by Rob Landes. A current project of Mr. Francis is to arrange all of Mozart’s string quartets for saxophone quartet – ten have already been premiered. 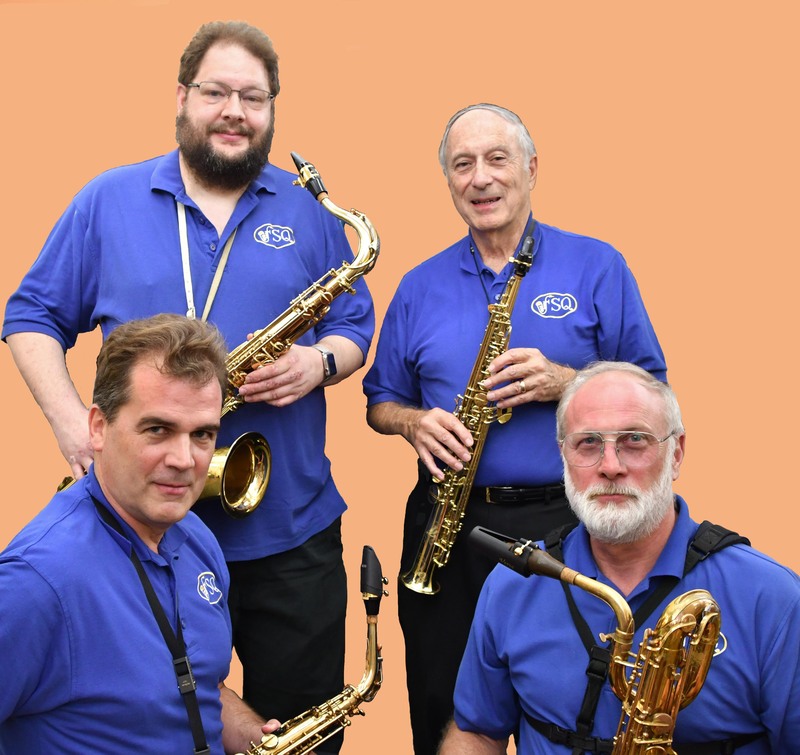 The FSQ members include: James Francis, Soprano Saxophone – founder and leader of the FSQ; Marshall Wise, Alto Saxophone; Brian Cole, Tenor Saxophone; Dan Hurlow, Baritone Saxophone.